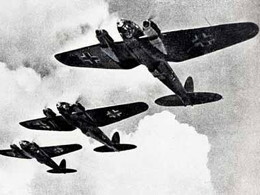 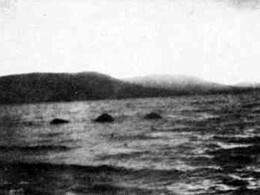 Italy's Popolo D'Italia newspaper reported that the Loch Ness Monster had been killed by a direct bomb hit in a German air raid. 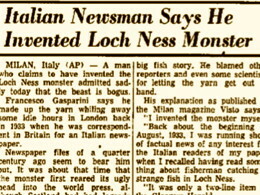 However, the Italian reporting was proven to be a hoax when Nessie sightings continued unabated. 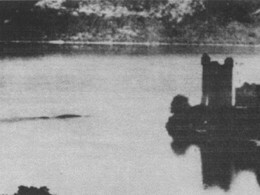 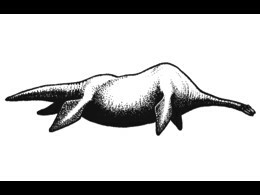 Specifically, when J. MacFarlan-Barrow and his three children saw Nessie while boating on the Loch in August 1941, the Daily Mail made a point of noting that Nessie had survived the Nazi attempt on her life. 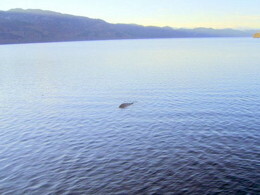 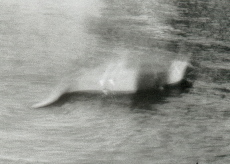 George Edwards, skipper of a Loch Ness tour boat, produced an image of a dark hump in the water. 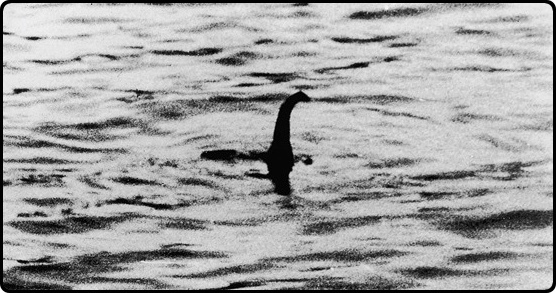 He claimed that the photo had been examined by a team of US military experts, who declared there was no doubt it showed an "animate object." 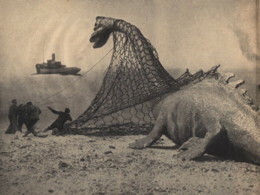 But a little over a year later, Edwards confessed the photo was a fake. 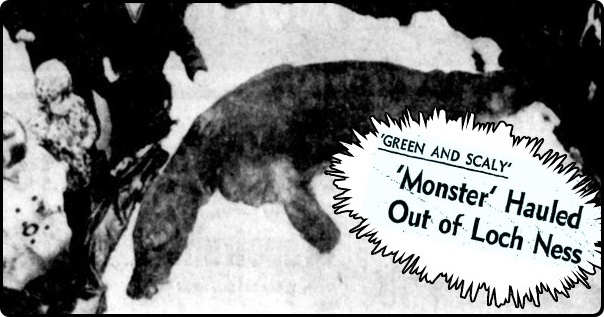 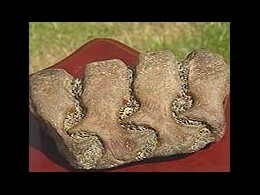 It actually showed a fiberglass hump created for a 2011 National Geographic documentary, "The Truth Behind the Loch Ness Monster." 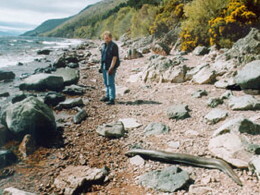 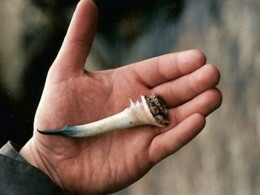 Edwards was unrepentant about the hoax, arguing that people come to Loch Ness for "a bit of fun" and not "for the science" — and that hoaxes such as his own helped to bring them there.